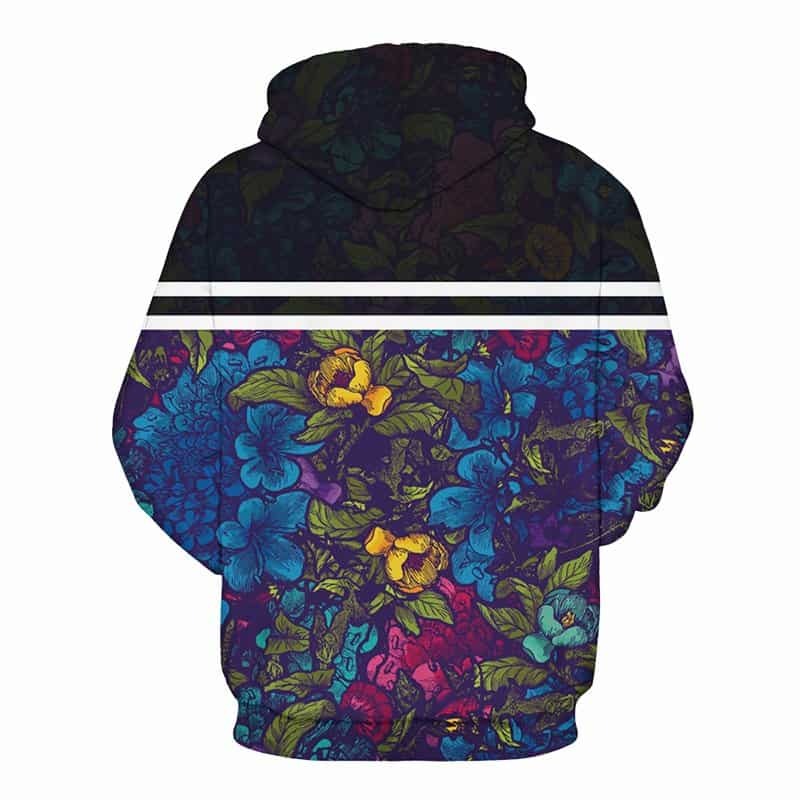 A stylish floral pattern hoodie. Featuring a plain black top, two thick white lines separate the plain section from the floral section. 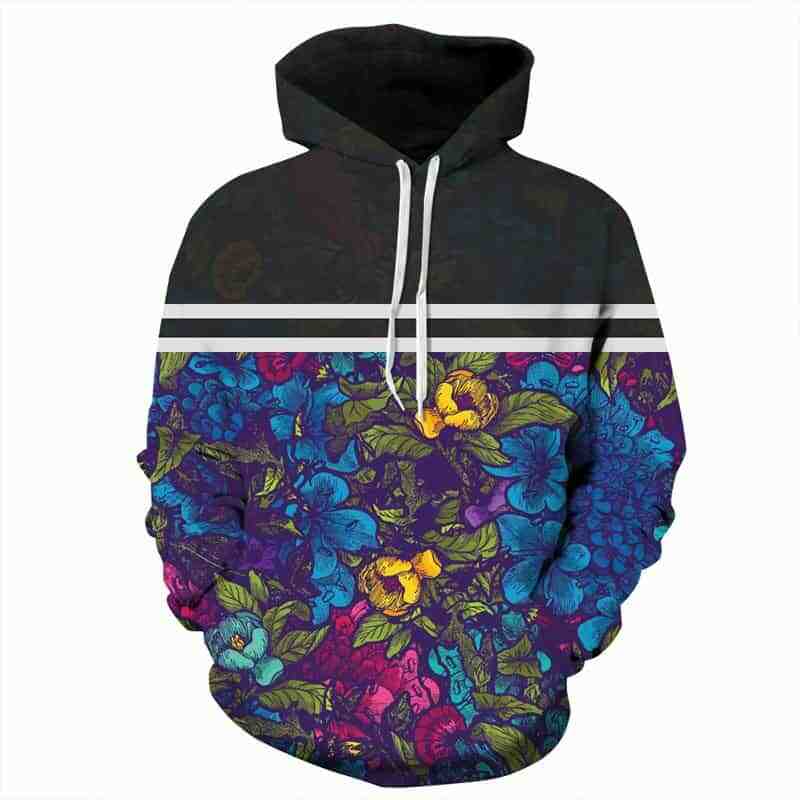 The floral pattern section features various saturated colors which blend together nicely. The hoodie is comfortable to wear, looks fashionable and is wearable anywhere. It was designed for both male and female.